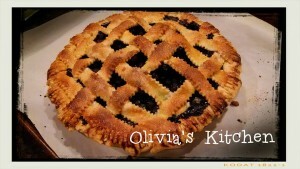 So the title said July 4th ,of course you don’t need to wait til July 4th celebration to make this yummy pie dish !! You can do it anytime , but i would suggest summer would be the best time , because of you want to do it when blueberry is in its peak . 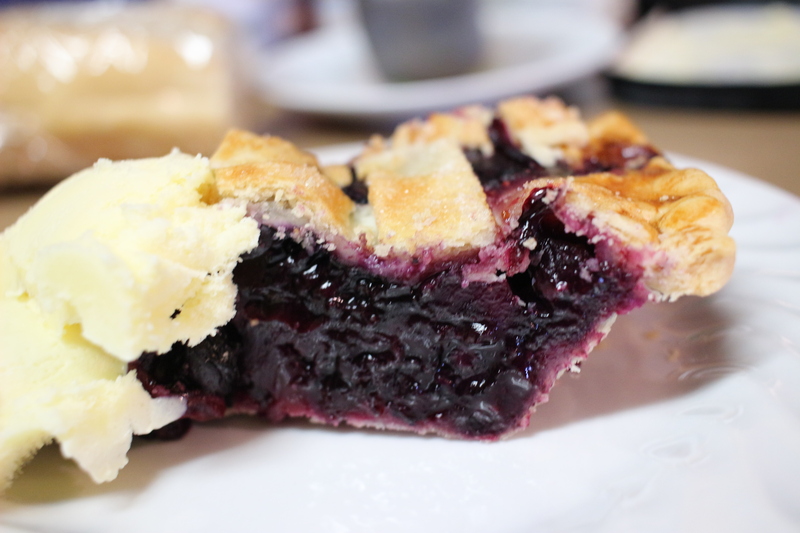 Sweet , juicy , reasonable price blueberry from you pick or from the store ! The other day i stopped at grocery store after the gym , and i picked up some fruits when i saw 99 cents a pint of blueberry . To me that’s a great price and hard to pass up . 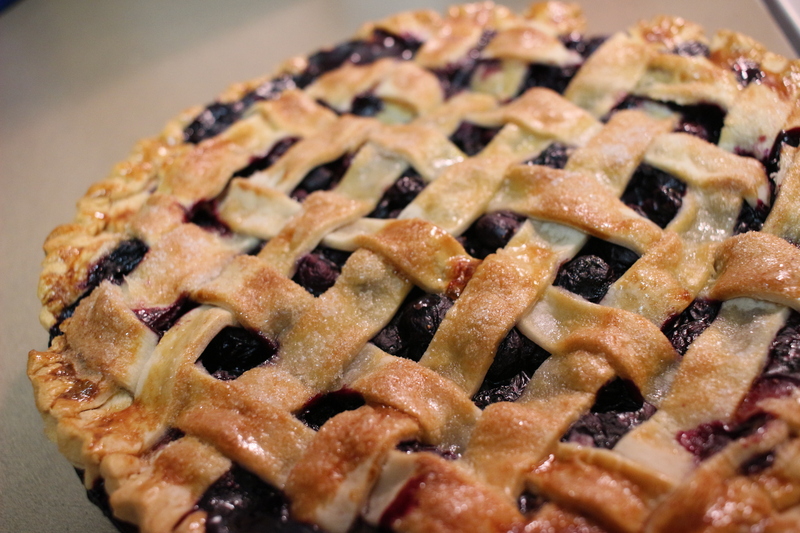 Immediately i think about .. Blueberry Pie ! 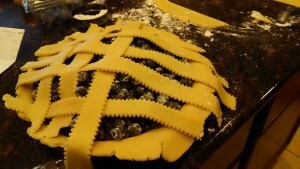 And beside .. July 4th is this weekend .. so of course i have an excuse to bake a home made pie !! To be honest , it has been a while since i baked pie from scratch , the last time was during thanksgiving , i baked pecan pie , so i do miss doing all this yummy things in the kitchen . I have been occupied with coloring yarns , and if you knew me well enough , you should know .. before a knitter and a dyer , i was a foodie at first . 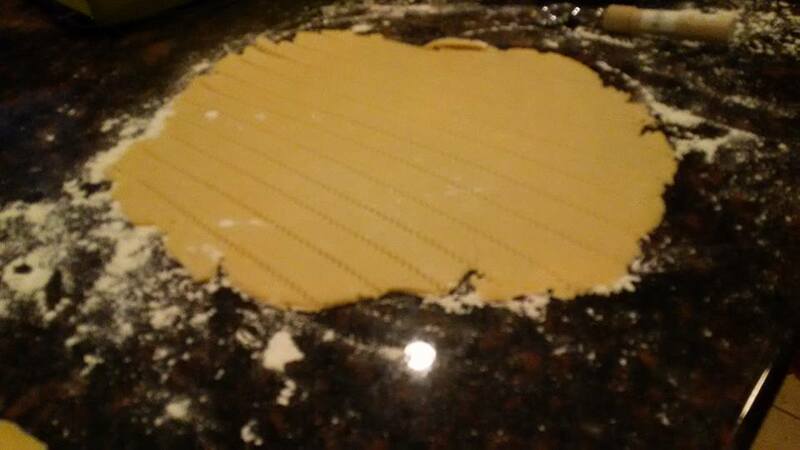 So there i was that afternoon getting myself ready to whip up pate brisee , or simply .. A PIE DOUGH 🙂 Except i found out that i only had 1 stick of butter .. while i needed 2 sticks , luckily i had 1 pound of frozen butter .. so had to wait til it’s chilled but not frozen . If you do have food processor , this is the time to use it . 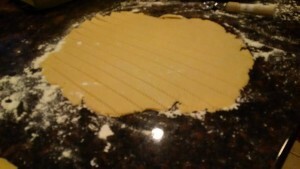 Just dump the flour , sugar and salt in it , then pulse few times to combine , cut up your butter into small chunks , add into the flour mixture , pulse until the mixture combine , coarse like pea size clumps , then while it’s running , drizzle the water start with just 1/4 cup only , and pulse until it comes together , if it’s too dry still add little more ice cold water , try not to pour all at once , you don’t want them to be too wet , enough so that it comes together . 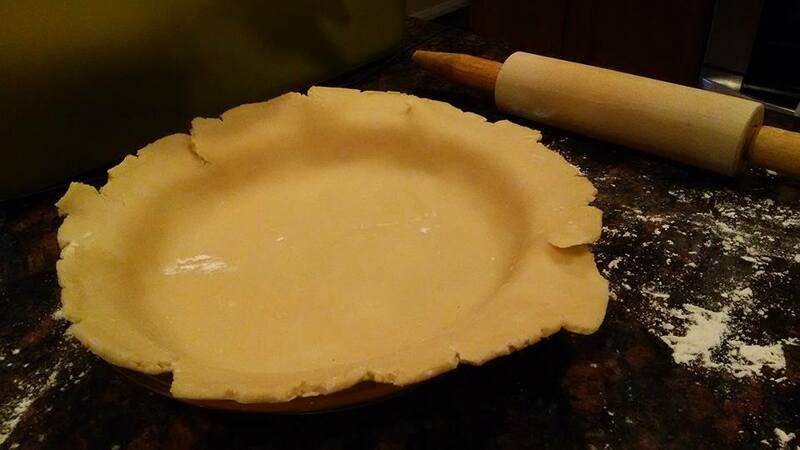 Don’t pulse it too long , or your crust will be hard . Dump the mixture on a plastic wrap , divide into 2 balls , flatten into disks and place it in the fridge , chill about an hour at least . You can do this ahead of time , a day will be fine too . Once the dough is totally chilled , you’re ready to make pie !! 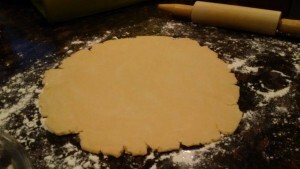 You will need flour , so the dough won’t stick to the surface when you roll it out .. you need rolling pin obviously .. here’s picture step by step . 5. 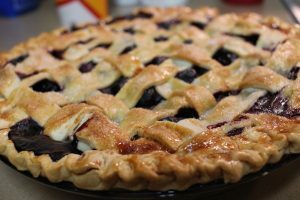 Once you’re ready to bake it , brush it with egg yolk wash , sprinkle generously with sugar and bake at 400 F for 20 minutes then lower it down to 350 F for about 55 – 60 minutes . The berries should be bubbly . To make sure cleaning up is not a messy job , line a parchment paper on a cookie sheet . 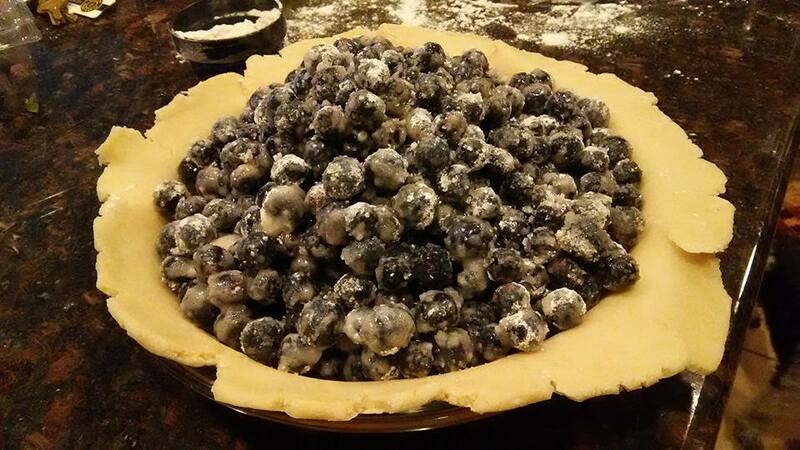 Let the pie cool totally before serving . Serve with a huge dollop of vanilla ice cream ! 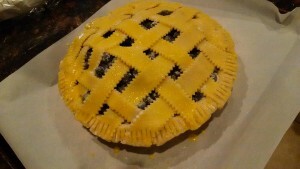 Here is Homemade Blueberry Pie ! !